So, one Muay Thai beginner comes up to me and asks, "When will I be ready to kick trees?" Don't laugh, he was serious. For many of you, this is a silly question, but to others this part of Muay Thai mythology is real. As is the case with most myths, the belief that Thai Boxers train by kicking trees is based on fact. Thai boxers are known for their rigorous physical conditioning, and in particular, their extremely hard shins. But contrary to what many believe, this is achieved through the use of very modern equipment. Thai boxers use the finest boxing gear found in the world designed specifically for the rigorous use of Muay Thai. As they condition their bodies with pad drills, sparring, or exercise, they toughen their shins on the heavy bag. Most Thai boxers begin training between the ages of 8 and 12, then being competing professionally between the ages of 16 and 22. After 8 years of kicking the heavy bag every day, their shins are like iron! However, Thai boxers have not always had access to equipment such as heavy bags, hence, the banana tree. A banana tree is not hardwood like most trees found in the USA. Banana trees have a softer, more plant-like trunk, which will give a little when kicked. Additionally, beginning Thai boxers would not start off by kicking a tree with full force, rather they would start kicking slowly without much power until the shins would eventually toughen to withstand the punishment. Trees are sometimes still used today for training. 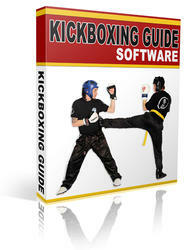 Thai boxers kick them with minimal power in order to improve speed and accuracy. Though, in all honesty, there are those who are capable of kicking trees without any real harm to themselves (I have actually met quite a few of them), this is largely an old practice rendered obsolete by the use of modern boxing equipment. So in conclusion, please... DON'T TRY THIS AT HOME!